Noon-3:30 p.m. & 8:00-10:00 p.m.
Noon-5:30 p.m. & 7:15-9:30 p.m.
Special, Extended Holiday Hours late December to January 7. Rare exceptions to our schedule: Nutcracker Show Week, Thanksgiving, and Christmas Day. We will also close a few days for our competition in the Spring and our ProSkaters event. Check our calendar for these changes. Give us a call at 865-588-1858 for details on our group classes. These passes cover five public skating sessions. As an alternative, join the Ice Chalet Skating Club and receive $ 1.00 off public session admission plus other benefits! Groups of 10 or more receive $1.00 off the normal admission price. Groups of 20 or more receive $2.00 off. Payment must be made prior to check-in to receive discounts. 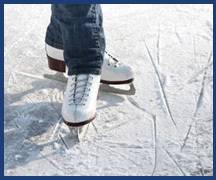 Covers five public skating sessions. 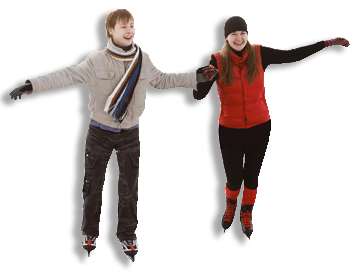 As an alternative, join the Ice Chalet Skating Club and receive $ 1.00 off public session admission plus other benefits!